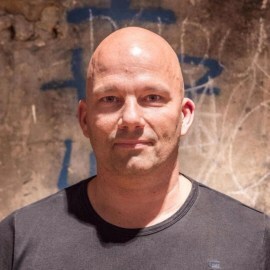 Lars Buch is the Managing Director of Startupbootcamp Digital Health Berlin, an industry-focused 3-month accelerator program focusing on Digital Health startups with a scientific or clinical differentiator. His mission is to empower the participating startups to commercialise and grow their solutions. Lars has a background in advanced technology development and product creation as Head of Smartphones in Nokia DK until 2012 where he joined Startupbootcamp as Managing Director for the "Mobile First Vertical" program in Copenhagen and supported almost 30 startups to raise venture funding and reach the market while building a couple of own startups on the side. In 2016 he spend a year to set up and head the venture arm for the newly established LEO Innovation Lab, moving into the Digital Health domain and exploring the opportunity between corporates and startups in this area.